Clip browser and preview spanned clips? I can't seem to preview spanned clips. I recorded a long show and the camera crossed from card A to card B during the recording. I got the message on the LCD screen as such. However, when reviewing in clip browser, I don't see the first half of the spanned clip, only the second half on the 2nd card. Yet when I import the clips into Final cut pro, the footage is there. Anyone have an explanation for this and is this "normal" behavior for clip browser?? 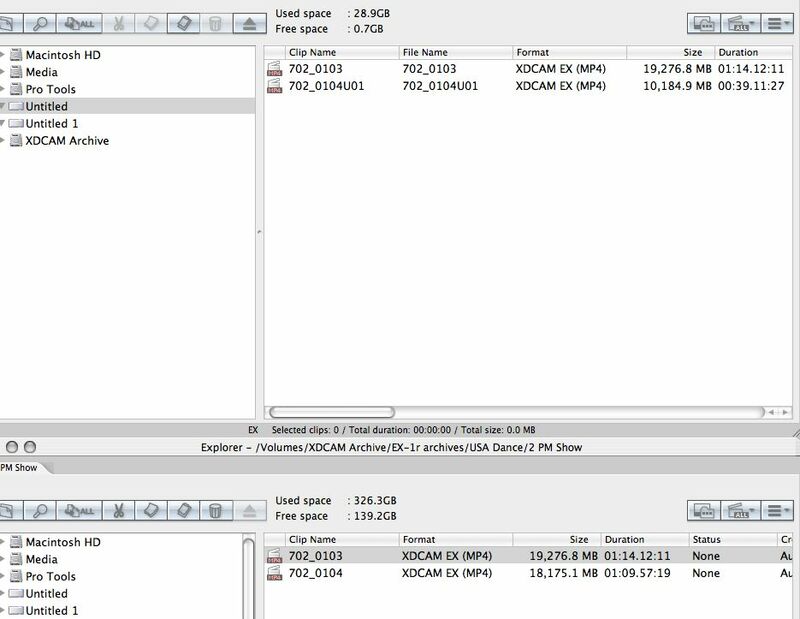 Re: Clip browser and preview spanned clips? 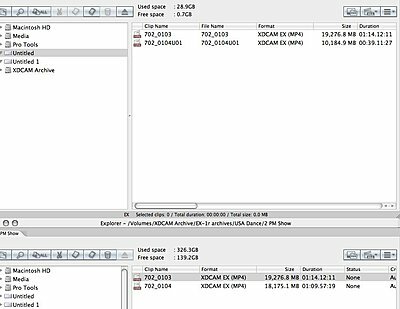 Just a thought, try again using the latest version of XDCAM Browser or XDCAM Transfer.